Slice the red onion into thin strips. Marinate tomatoes & red onion in a vinegary dressing. Toast the French bread until crunchy. Cut the French bread into small squares. 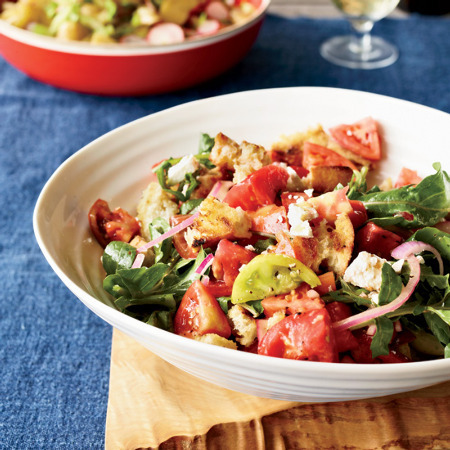 Mix the marinated tomatoes, red onions and French bread in a medium size bowl.